Exercise has been an integral part of 34-year-old Pallavi Barman’s life since 2010. In fact, she did not even take a break from workouts during her pregnancy. 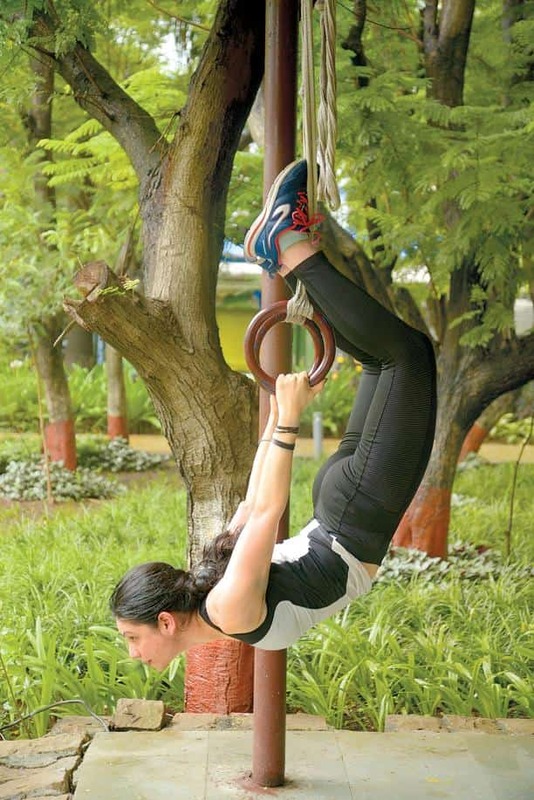 The Mumbai-based marketing and operations head of HRX (Bollywood actor Hrithik Roshan’s fashion and lifestyle brand) likes trying out new routines and has tried her hand at weight training in the gym, CrossFit and long-distance running before diving headlong into her current regimen of Parkour, calisthenics and gymnastics this summer. Eight years ago, when Barman moved from Kolkata to Mumbai, she had the new city blues. “I had to take the busy local trains and hardly knew anyone. In an attempt to find a positive way to address my difficult situation, I decided to join a gym. It worked wonders for me psychologically as well as physically," she says. Barman loves high-intensity workouts and sets challenging goals for herself. “I took up Parkour and gymnastics because both looked challenging," says the mother of one who works out at least four times besides doing a 10km run, every week. Fitness is fundamentally important for every individual, feels Barman, especially so for those in demanding jobs. “For keeping the mind and body active, like little children, it is highly recommended to stay active. When we stay active, we grow. A sedate lifestyle, slow mind and a sluggish body can hardly be a winner. Right?" she argues. Barman says she generally finds herself happier after a workout and makes for better company for the people around her, including her co-workers. She also attributes a part of her professional success to her fit life. “After a workout I am a better thinker and full of ideas. I have learnt discipline from all those hours spent in gyms. Also, I am more focused, less perturbed in difficult situations and can concentrate better," she says. A marketing role comes with long hours and several meetings, which often force Barman to skip her regular workouts. “Whenever that happens, I work out at a gym near our office in Bandra. I had a chat with my company heads to let me use my lunch hour to get in my workouts. They are okay with that," she says. A direct outcome of active interest in wellness at workplace is a higher energy level, which improves efficiency and productivity. “A fit individual not only keeps procrastination at bay but is also more organized, focused and sharp in all situations, including the workplace. So, a fit employee is a better employee," says Barman. With motherhood and work taking up almost all her energy, Barman has to dig deep to find the energy to work out. Further, getting back to a fitness routine post-delivery was difficult. “Parkour and gymnastics are very difficult even after months of practice. But after my C-section, it took six months of rehabilitation before I could start any kind of workout. While progress was slow, I was able to manage the basics as I have a strong core," she says. Barman’s work at HRX revolves hugely around fashion, fitness and lifestyle. So, she says, “I feel it is imperative for me to look the part for people to take me seriously when it comes to business." Barman’s dedication to fitness is so well-known within HRX that one of the founders of the company texted to tell her how incredible and infectious her energy is. “They told me that I am actually living the mantra of HRX that aims to become India’s largest fitness brand," says Barman, who was also the face of the brand’s Mother’s Day campaign. All three people who report to her and two others who are on her team have, after seeing her, taken up some sort of fitness regimen. “There has been a marked difference in their discipline and sense of responsibility at work since they started getting fitter," she says. Barman says being fit has made her much more confident, both inside and outside office. “When you work hard on your mind and body and feel fitter physically and happier mentally, you can conquer the world," she says. “I look good." Barman’s next goal is to do cartwheels and somersaults and “teach gymnastics to my baby girl, who is almost two years old, myself when she is ready."